Item # 296314 Stash Points: 5,199 (?) This is the number of points you get in The Zumiez Stash for purchasing this item. Stash points are redeemable for exclusive rewards only available to Zumiez Stash members. To redeem your points check out the rewards catalog on thestash.zumiez.com. Known for their bold athletic designs, adidas and Farm Rio present the fashion forward Red Pineapple Crew Neck Sweatshirt. 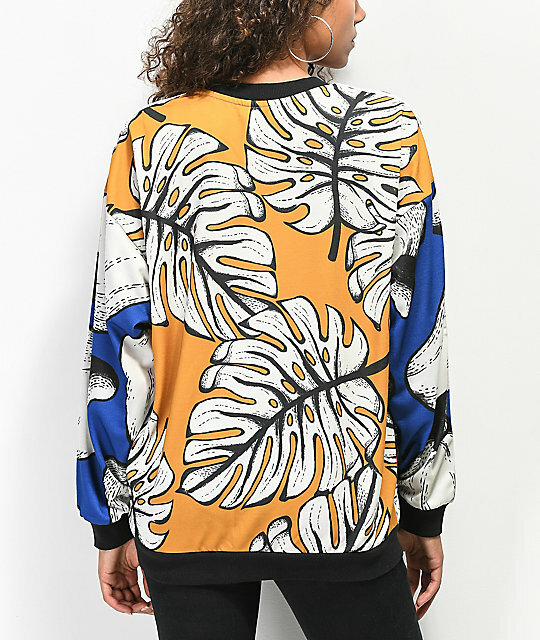 Featured with a tropical pineapple and palm leaf pattern throughout, this pullover is adorned with adidas' 3 stripe details along the sleeves for signature style. 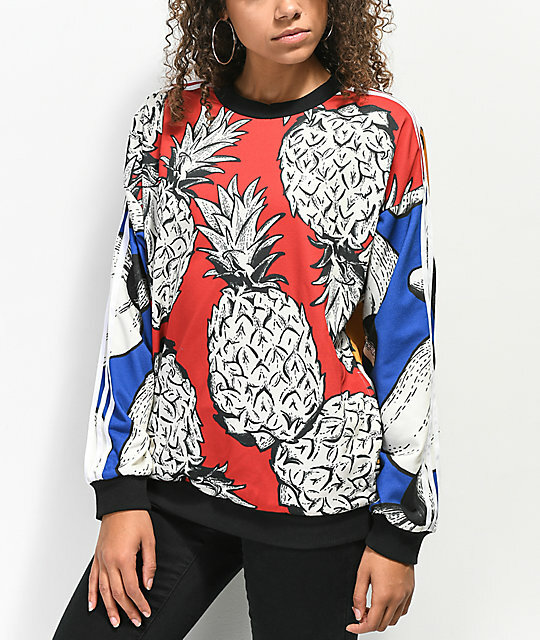 Take your athleisure style from basic to bold with the Red Pineapple Sweatshirt! Red Pineapple Crew Neck Sweatshirt from adidas x Farm. Signature adidas and Farm Rio collaboration. Red, blue and yellow colorway. 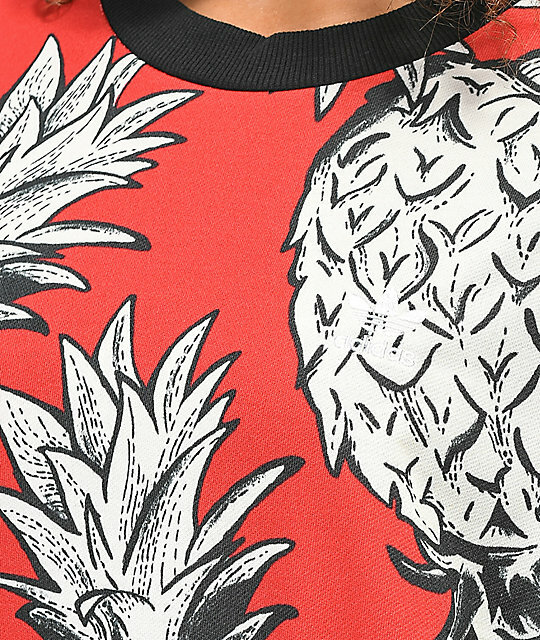 Pineapple & palm leaf print throughout. 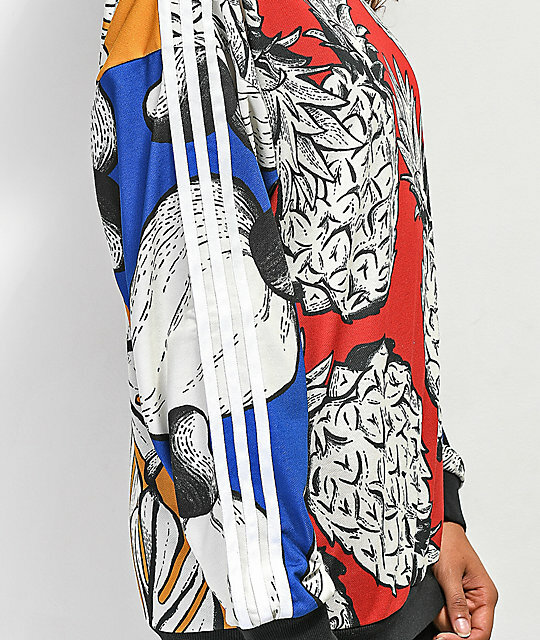 adidas 3 stripe appliques along both sleeves.